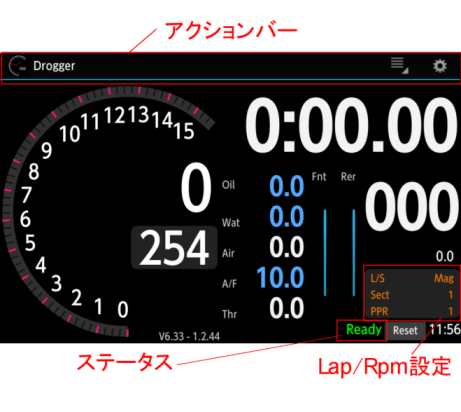 Drogger is a data logger for motor sports. and display it with free app. lap time · engin RPM · suspension stroke · A/F · throttle position · water/oil temperature · voltage etc. Lap time is the most important information while running. So the biggest letter. The background color of the tachometer changes at the shift-up point. Today, set it at 11,500 rpm. Engine response is good. Oil temperature is also good. Today's morning free practice is different from yesterday and it had chattering. What is different? Is it too hard or too soft? How about qualifying settings? Overlap laps on yesterday and this morning, check the movement of the suspension. Okay, I have decided! I feel that the previous engine is faster. The difference in lap time is subtle. Compare the graph which the rotation increases in the acceleration section of the back-straight. As expected. The previous engine has reached the same rotation in shorter time. I tried a new intake duct. Mount the air temperature sensor behind the funnel. Measure the intake air temperature. The effect of the intake duct was also minus 5℃. Overwhelming! This will be even faster! Now, what shall I try next? I'm the first time to visit this course. Ask the position of the embedded magnet. It seems the embedded magnet is not buried in the goal line. If the place of embedded magnet is different, the difference with the official time comes out. Let's use infrared sensor here. After all, red Speaking of the game? Calm blue is also hard to throw away. Well, what color should we go today? Today is rain. Hurry up to exchange tires. Oops, this Android was merely waterproof. 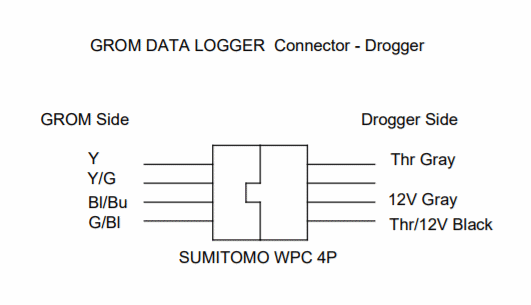 Drogger is the first data logger system that displays and logs with Android. By using powerful CPU, memory and storage of Android device, it is possible to record at high-speed, high-definition and large capacity which was impossible with conventional logger. 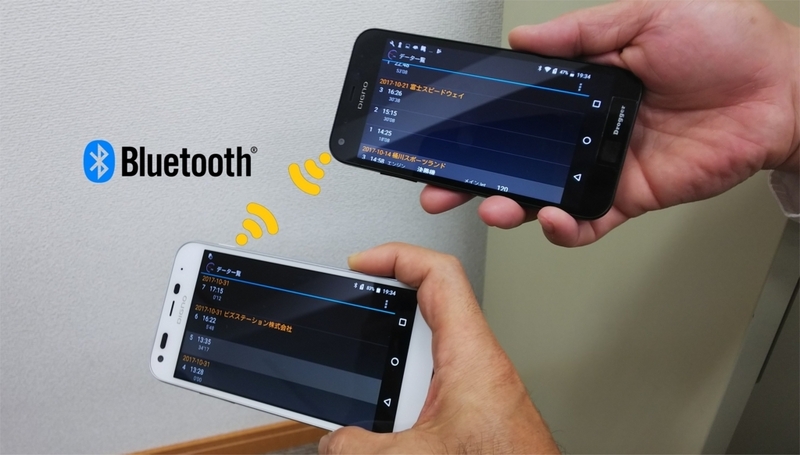 Use Bluetooth to connect with Android. It is not necessary to insert the cable every time. Also, we are not concerned about waterproofing the connecting part. Drogger is freely downloadable from Android Play store. With the evolution of the app, your Drogger will evolve as it is. The app can be used as a data viewer even without the Drogger main unit. It is not necessary to bring in a PC and transfer the data to it. You can check the data graphically in the app. The main unit that connects the sensors adopts a timer using high precision EPSON crystal. Measure accurate rotational speed and lap. The board and mount are made in Japan with high reliability. In addition, we have achieved complete waterproof, dustproof and vibration-proof with automotive board sealing resin. The main unit can be supplied from 12V of the vehicle. Also, 5V USB power supply can be used for vehicles without 12V. You can use the battery such as USB mobile battery for smartphone. For the first time in the data logger, we adopted a non-contact distance sensor. You can catch the motion without disturbing the movement of the suspension. Moreover, it weighs only a few grams. The infrared LAP sensor can detect not only Drogger's transmitter but also transmitter of Micron (AIM) or EZ-LAP. It is possible to avoid to get entangled when many transmitters are placed on a short straight course. For example, if you already have an AIM transmitter, specify AIM in the app settings to use it. The infrared transmitter can transmit patterns of Micron (AIM) and EZ-LAP as well as Drogger's original pattern. 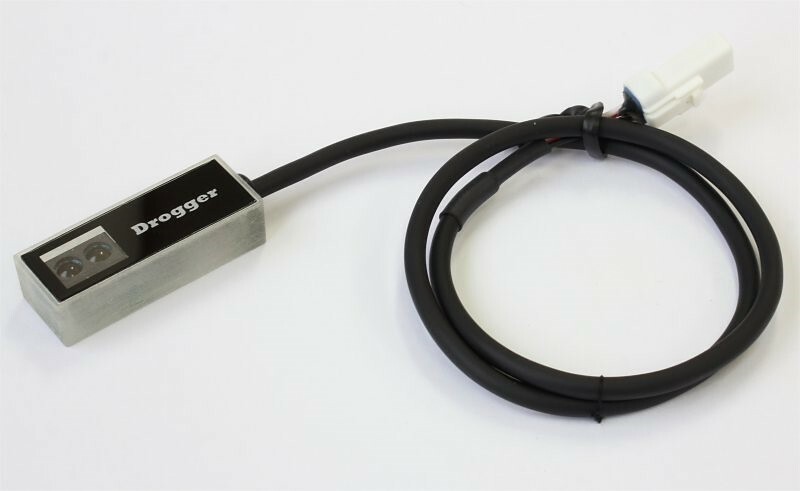 For example, when using Drogger and aRacer ECU together, it can be used as a transmitter of the AIM pattern requested by aRacer. Power supply is common with the main unit. It is hybrid of 12V DC and 5V USB. Speed sensor measures wheel speed with strong light magnets and a magnetic sensor. Custom made microprocessor is mounted on a compact board. In addition to high resolution of 0.3 Km/h, high-definition measurement / recording of 50 times per second is possible. Powerful small magnet is only 0.3g per piece. For magnetic detection, we adopt high sensitivity Hall IC made in Japan. The casing has a high waterproof, dustproof and vibration-proof property by integrally molding the board and harness part. The temperature sensor adopts high precision semiconductor sensor. Accurate temperature can be measured in 0.1℃ increments. Drogger also has special handling for connectors and cables. Connectors are very compact waterproof connector made in Japan. Cables are expensive thin diameter sheath cable with heat and oil resistance. In order to obtain more reliable waterproofness, special treatment is applied to terminal crimping. DG-PRO1 is a high-precision GNSS (GPS) unit that connect to Android™ via Bluetooth and can achieve a maximum update rate of 18Hz. 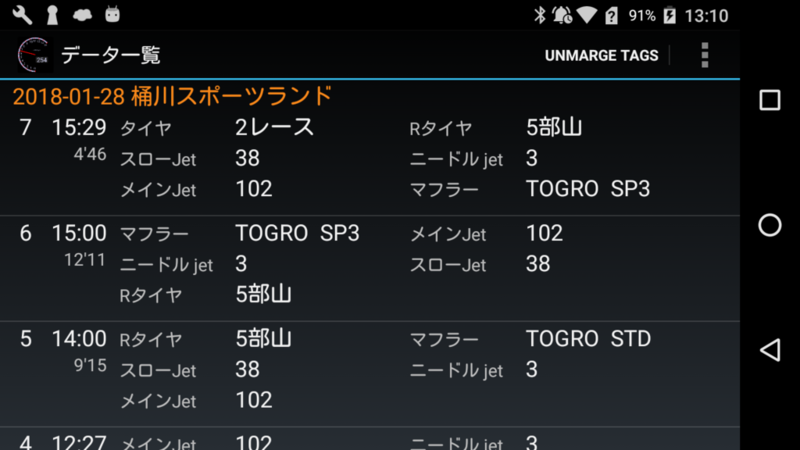 The app logs position information in sync with Drogger's vehicle data. It is impossible with Android ™ built-in GPS and useful functions are available. 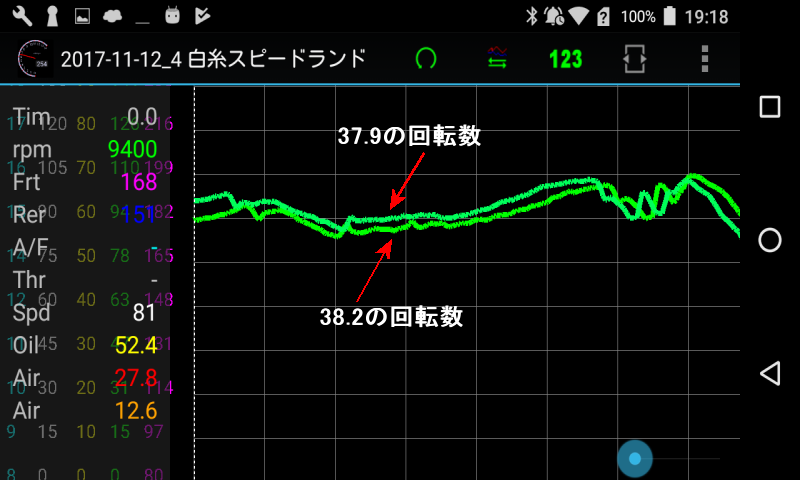 Compared with built-in GPS, an overwhelmingly beautiful line trace is possible. 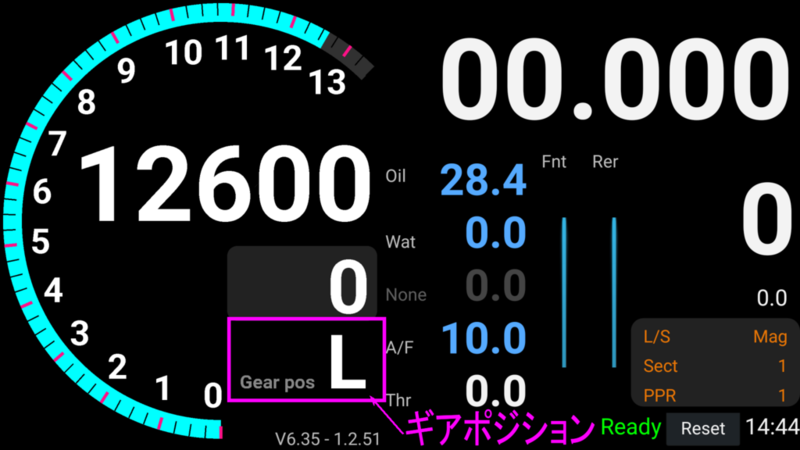 High precision lap time and sector time measurement is possible only with the app and DG-PRO1. In particular, DG-PRO1 is indispensable for sector time measurement. The finish line / sector break on the circuit or course can be edited free will. You can also add courses that are not covered by app such as parking lots. High precision speed measurement with GPS is possible. Speed measurement with different characteristics from the speed sensor is possible. Without using the Drogger sensor unit, time measurement can be performed only with DG-PRO1 and the app. If you add DG-PRO1 to the sensor unit, In addition to the above, it can be used together with vehicle information such as rotation speed, water / oil temperature and suspension stroke. Drogger's biggest advantage is that you can log vehicle information as well as lap times. For more information please see the exclusive page of DG-PRO1. Please refer to [Support] - [Installation method] such as installation on the vehicle. Please judge the cable etc necessary for connection such as engine speed signal, please refer to [Support] - [install]. Drogger is a set of the main unit, sensors and cables. There are 3 types of sets, Basic, Standard and Pro for two-wheeled vehicles. Drogger for Racing kart is for racing karts. It is also possible to purchase a single item. SL001 Main unit Bluetooth built-in control unit. 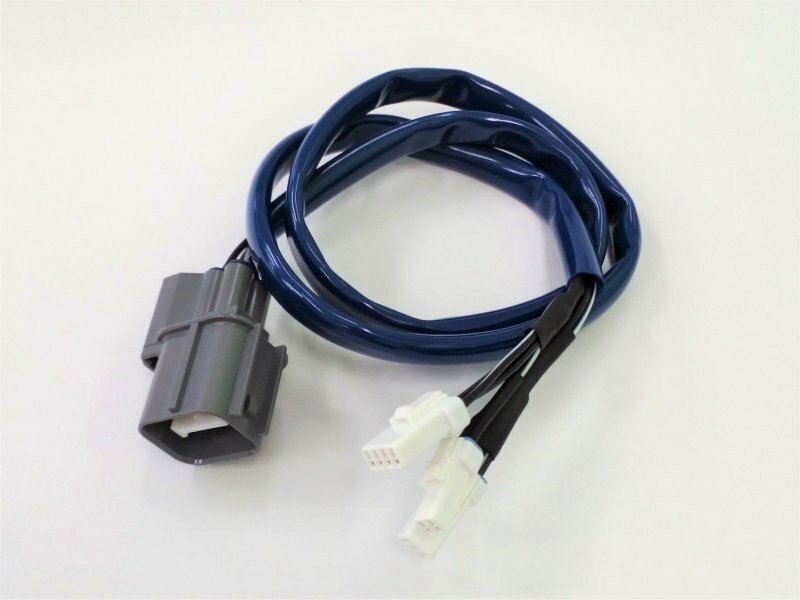 SG001 IG cable For Engine RPM measurement. In addition to the function of Drogger Basic, it is possible to log four data of back and forth stroke, water temperature, oil temperature and air temperature. Three extension cables for sensor attachment are included. SS002 Stroke sensor Two are attached to Drogger Standard or Pro. ST002 Temperature sensor 1/8PT For water / oil temperature. With 1/8PT adapter. ST001 Temperature sensor For air temperature. SL060 Extension cable 60 For extension of stroke sensor or temperature sensor. If the magnet is not buried in the course, or there is a problem in the buried position, it is possible to measure LAP with infrared rays. 12V power cable is included. 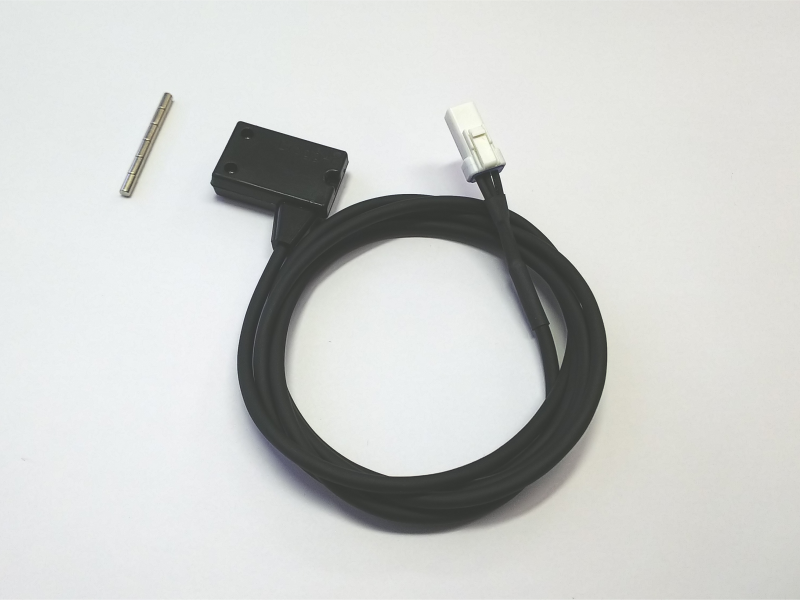 This 12V cable and 5V USB cable can be used with both of the main unit and infrared transmitter. SLE090 External sensor cable 90 Required for connecting analog 0-5V output devices or sensors, such as A/F unit or throttle sensor. For Rev2 or later. Injection vehicle harness Harness for easy connection to injection vehicles. This harness can connect to 12V power supply, RPM pulse signal (5V), throttle position sensor. For Rev1. Injection vehicle harness Harness for easy connection to injection vehicles. This harness can connect to 12V power supply, RPM pulse signal (5V), throttle position sensor. For Rev2 or later. Harness for HRC data connector A harness that can be easily connected to a racer equipped with a HRC data connector. This harness can be connected to 12V power supply, RPM pulse signal (5V), throttle position sensor with coupler on. For Rev1. Harness for HRC data connector A harness that can be easily connected to a racer equipped with a HRC data connector. This harness can be connected to 12V power supply, RPM pulse signal (5V), throttle position sensor with coupler on. SE001 TP sensor amplifier For Rev1 only. 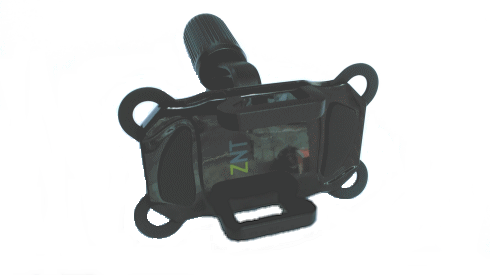 Adapter for eliminating the influence on the throttle position sensor. 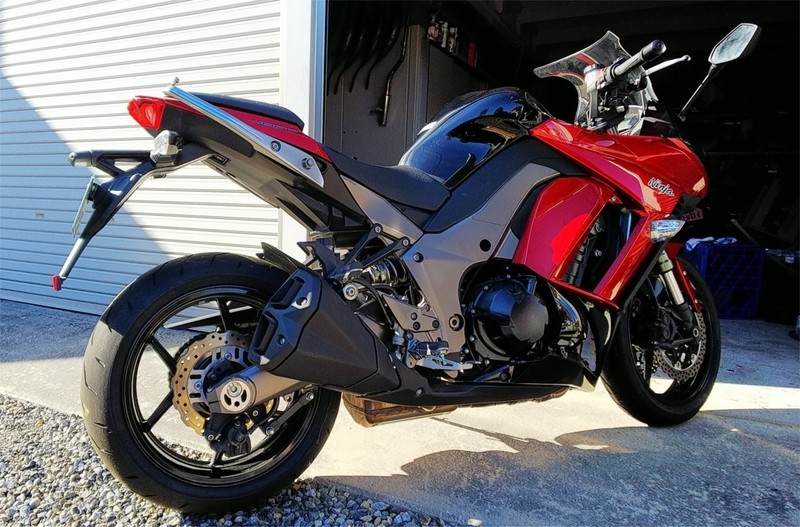 Use it as necessary when connecting the throttle position sensor. 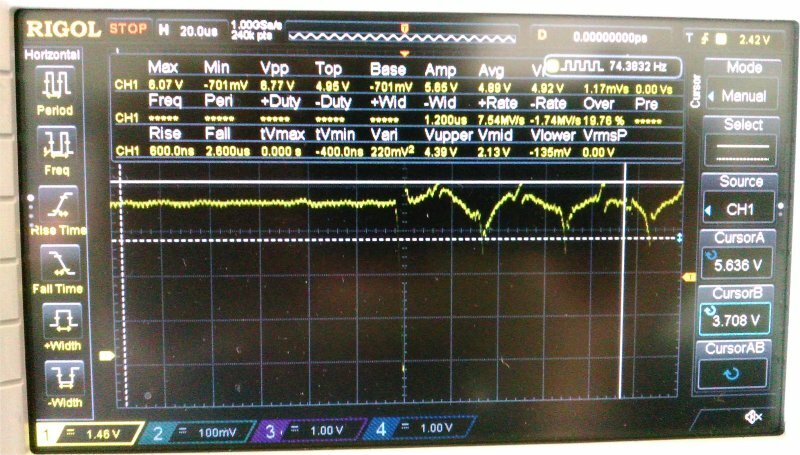 Began shipping Rev 6 main unit equipped with Minimam Lap detect to 0.7 second. Began shipping Rev 4 main unit equipped with Wakeup function. Sales of the speed sensor SMS01 started. In order to use Drogger safely and comfortably, there are some conditions on the specifications of the smartphone or tablet. Please launch Play Store app, search with Drogger and install it. * The spelling is Drogger. Please note that it is not Dragger. You come and come to seeing a graph of the engine speed and the suspension from the pattern so that it is seen riding operation. We will introduce using the actual data a graph pattern that was noticed during the development of Drogger. You can see how to install and use the main unit, power supply, sensors, infrared transmitter etc. Copyright © 2013 BizStation Corp. All rights reserved.